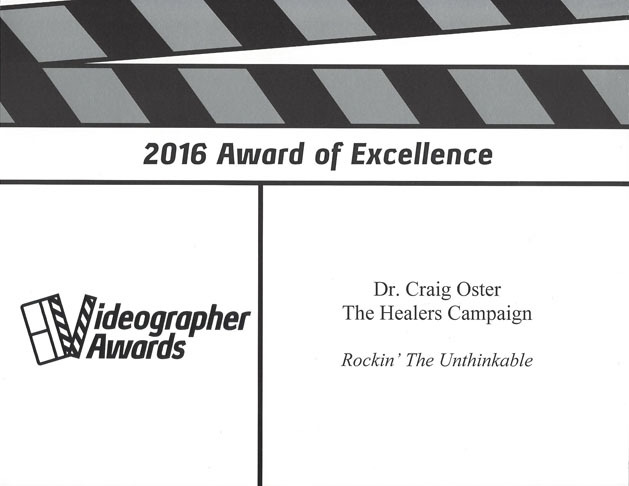 The completed first half hour of my documentary, “ROCKIN’ THE UNTHINKABLE: Healing ALS Warrior’s 21 Years of Conquest after ALS” has been evaluated as exceptional, receiving the 2016 Videographer Awards’ Award of Excellence. This creation was produced from my heart and soul. Two months of producing this heart warming and inspirational work of art involved beautiful sobbing regarding what I have endured and overcome. When the remaining hour of my 90 minute inspirational documentary is completed, we will have an extraordinary groundbreaking production featuring pioneering world renowned experts with great insight for improving the standard of care for ALS in terms of functional medicine nutrition and mind/body medicine approaches. Many people beyond ALS community will benefit from the inspiration and insight. 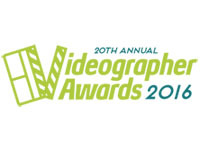 The Videographer Awards is one of the most coveted awards in the video industry. Over the past 20 years, thousands of production and communication professionals have entered their best and most creative work. 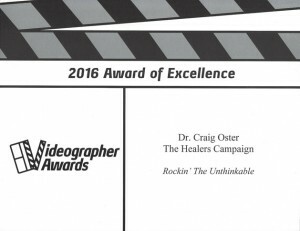 The goal of the Videographer Awards is to identify and recognize the artisans who excel in the scope of their own environment. Winners range from network news operations to local cable access…from large production companies to freelancers…from international advertising agencies to student producers. How can I participate in this holistic approach. I was diagnosed with ALS 1/31/2019. Am exercising and watching what I eat.